This morning, Kazuki Nakajima brought the Toyota Racing TS030 HYBRID back home across the finish line after a mammoth 2h45m stint to claim victory in front of adoring home fans at Fuji Speedway in Japan. The Japanese team, based in Germany, continues to deliver results race after race. 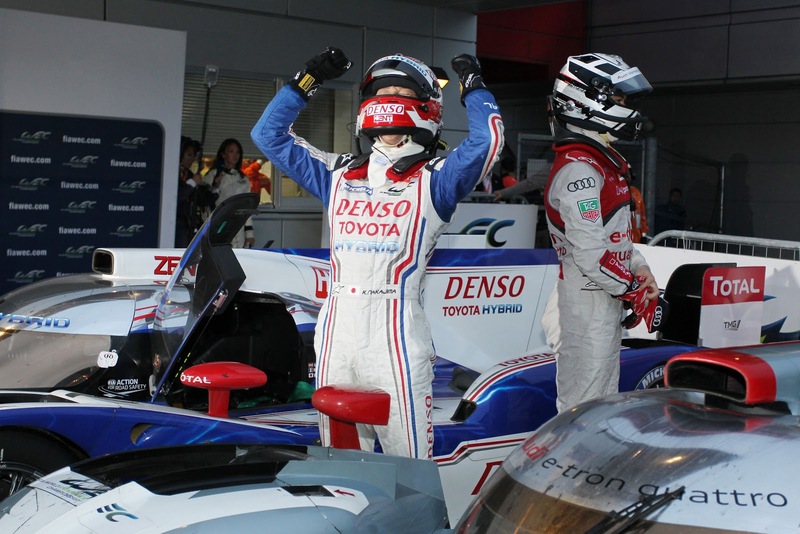 At the team's 2nd race at Silverstone, Toyota Racing picked up the teams first podium finish. One race later at the 6 Hours of São Paulo, the team's first win. Today's victory marks the 2nd win in just 5 outings. Very impressive performance! Full race report here.